Are you a starfish or a soldier? Maybe you’re a free faller or a log? Depending on your sleep position, you’ll want to select a specific CPAP mask to meet your needs. 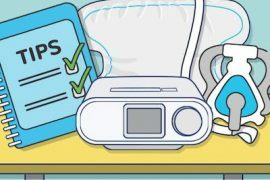 Chris Idzikowski, director of the Sleep Assessment and Advisory Service, identified six sleep positions that must be understood to maximize the safety, comfort, and efficiency of your CPAP machine. Before purchasing a CPAP device, most people go through a sleep study where professionals look for the underlying health concerns driving the need for CPAP therapy. Adopted by about 41% of individuals in a recent British study, the side sleeper pose looks just like you’d imagine – curled up and cozy. Significantly more women adopt this position than men. Side sleepers generally require a CPAP mask that stays on even when pressed against by a pillow. Flexible masks work well. Masks that feature soft-touch buckles and cloth surfaces where the mask meets the face are great options too. A mask that fits under the nose versus over it can make sleeping on one’s side as comfortable as possible. 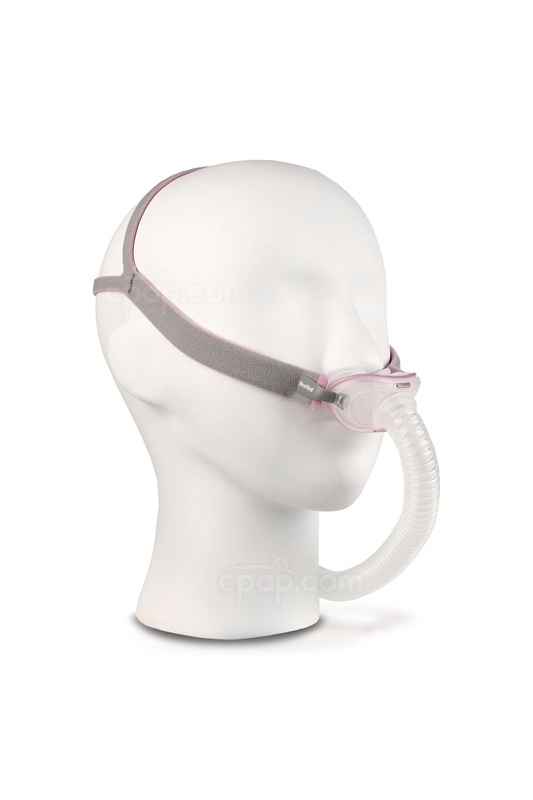 The Swift FX Nasal Pillow CPAP Mask is made for side sleepers in mind. The nasal pillows include dual-wall flaps to provide ergonomic support and comfort while you’re sleeping. A built-in flexible chamber ensures that the mask stays on even as you shift from side to side. The silicone-based headgear and set of Soft Wraps are designed to help maintain the mask’s seal. 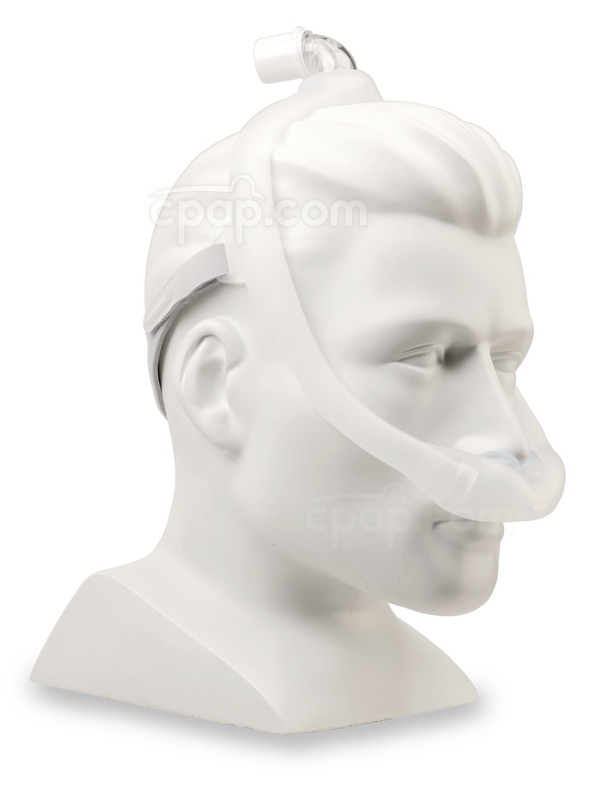 The AirFit N20 Nasal Mask is designed for easy adjustment and comfort. The InfinitySeal cushion uses varying levels of thickness to offer a reliable seal for all facial and nasal structures. A flexible frame adapts to any movement that may occur during the night. This lets side sleepers easily change their position without having to readjust their mask. The plush headgear uses soft fabric, which helps reduce pressure and marks when sleeping on your side. The AirTouch F20 Full Face Mask is a great option for Side sleepers who need a mask with more room to breathe orally. It fits a larger space than nasal masks, covering both the nose and mouth. Instead of traditional silicone, this mask uses UltraSoft memory foam cushion, which helps the mask stay on when you’re sleeping on your side. Sleep Apnea patients that sleep on their side may not be aware that this sleep position has health benefits beyond simply being comfortable. In 2017, researchers for the medical journal “Sleep” found that side sleeping naturally opens the airway, using gravity to help the CPAP machine do its work2. 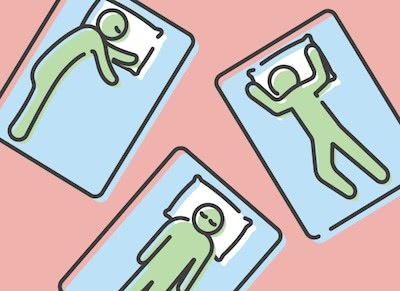 As a Sleep Apnea sufferer for years, I learned about this study recently and have decided to try to sleep in this position on a regular basis, instead of sleeping on my back (which is my preferred sleeping style). I find that on nights where I wind up on my back, I usually have AHI levels between 5 and 7. On nights where I’m able to sleep on my side for the entire night, I find my AHI to be around 2 or 3. So for me, it does make a huge difference, and the science seems to check out3. I find that side sleeping doesn’t come naturally to me, so there’s always a chance I’ll roll over onto my back. I sometimes put a body pillow near my back so that I can’t drift onto my back during the night, and that helps. I also try to adjust the arm I lay on top of so that I’m not putting so much pressure on it. It usually winds up that my arm is a little outstretched to relieve some of the pressure. Even though it’s not my preferred sleeping position, the health benefits I get from doing it outweigh any discomfort I feel. It does take some getting used to, and I’m still not 100% there. I’d encourage anyone who’s struggling to get their AHI down to try this trick to see if it makes a difference. About one in six people sleep in the Log position: resting on one’s side with both arms lying to the sides. Just like Side sleepers require a soft mask that won’t dislodge when pressured by a pillow, log sleepers should look for similar characteristics. But since the arms are kept low and not positioned near the head as in the Side sleeper position, additional pressure may be exerted on the facial area. This reinforces the need for a soft nasal mask, completely devoid of hard surfaces that can either act as an irritant or create leaks during sleep. With its simple design, the AirFit P10 Nasal Pillow Mask feels light and comfortable on the face. The QuickFit elastic headgear offers a secure fit without using any velcro tabs or clips. This makes it feel less obstructive than other mask headgear and also reduces facial marks for Log sleepers. 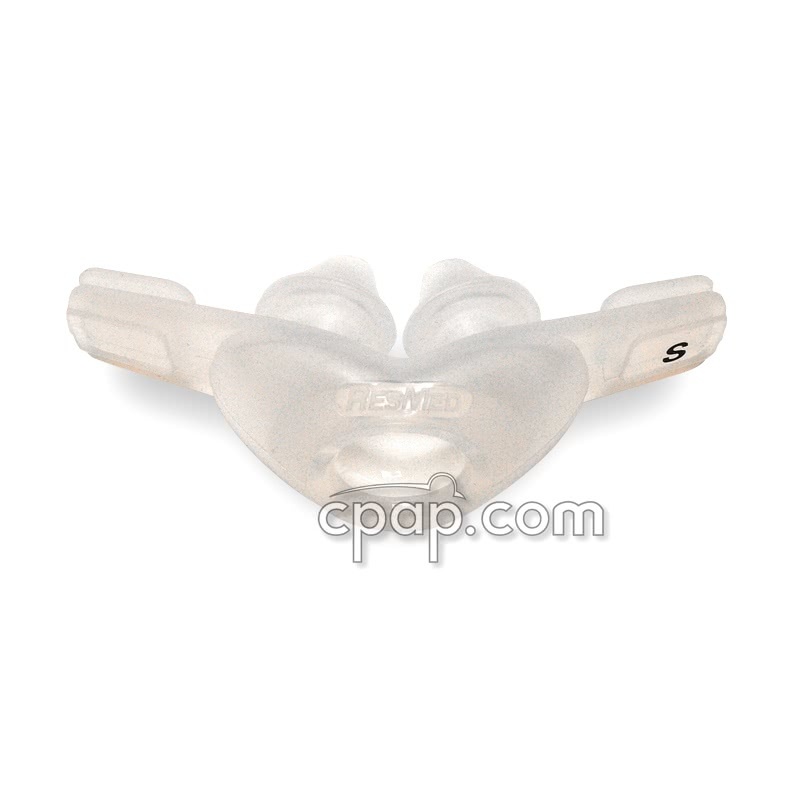 The AirFit dual-wall nasal pillows compress up and down. This allows Log sleepers to shift their position while still maintaining a comfortable seal. The SleepWeaver Advance Small Soft Cloth Nasal Mask is made out of cloth, making it an ideal choice for Log sleepers who need a soft nasal mask. The lightweight and breathable fabric is comfortable and helps reduce facial marks when sleeping in the Log position. The Zzzephyr Seal cushion inflates with air, helping maintain a seal even when it comes into contact with your pillow. Combined with the soft headgear, Log sleepers can sleep comfortably all night long without their mask slipping off. This position is just like the Log but with both arms extended out in front of the body. Approximately 10-15% of the population adopt the Yearner pose. This sleep position can put some pressure on the side of the face. However, the “arms out front” sleep style does minimize this pressure to a degree. Any mask that works well for a Side Sleeper or Log will work just fine. About one in twelve people assume the Soldier pose during sleep. Soldier sleepers lie on their backs with their arms stretched rigidly out in parallel to the legs. It is good to keep in mind that sleeping on one’s back can often exacerbate Sleep Apnea symptoms. However, almost ten percent of the population assumes the Soldier position. Thus, there are certain masks designed for this position, too. Back sleepers will want to order a mask that is designed to keep uncomfortable parts of the headgear system away from the back of the head. That way, the sleeper isn’t lying on top of straps, buckles, hoses, and other potential nuisances. Depending on your individual needs, the ComfortGel Blue Nasa or Full Face Mask are both good options for Soldier sleepers. The headgear attaches on the top of the head, reducing potential discomfort from the straps when sleeping on your back. The ComfortGel forehead pad comes with a stability selector to let Soldier sleepers easily adjust their mask fit. It also keeps your head elevated, which is especially important for Soldier sleepers managing their Sleep Apnea symptoms. Similar to the ComfortGel, the DreamWear Nasal Mask uses headgear that attaches on the top of the head. The CPAP hose is positioned above the Soldier sleeper to reduce tugging on the mask. This helps maintain a reliable seal while removing any uncomfortable pain that Soldier sleepers may feel from the back of the straps. The DreamWear frame allows easy airflow to the cushion. Air can flow on both sides of the frame, or through one side if the other side is blocked. According to the medical journal “Sleep Medicine Reviews” in February 2014, researchers found that sleeping on your back allows gravity to help close your airway. It also reduces lung capacity and can worsen snoring. If you find your sleep apnea symptoms worsening despite using a CPAP device, an easy fix is to try to sleep on your side instead and see if that helps4. Sleeping on your back may feel like the most natural position to rest in, especially if you are using a CPAP mask that connects to the hose near the nose and mouth. I used to sleep in this position all the time because it made dealing with the mask a lot easier. If you’re doing the same thing, you could try using a specially designed CPAP pillow which makes it easier to lay on your side, by having a cutout that is designed to accommodate the mask assembly. You might find this makes it easier to sleep on your side, which will help relieve your Sleep Apnea symptoms. 5-7% of the public sleeps on their stomach while grasping their pillow with both hands. Though not a lot of people sleep on their stomach, there are some CPAP masks designed specifically for stomach sleepers. One option is the nasal pillow mask, which inflates on its own and generally offers a minimalist design for superior comfort. A top-quality gel or memory foam pillow can also help stomach sleepers find a comfortable position in which to rest. The DreamWear Gel Nasal Pillow Mask provides a reliable seal and comfort that Freefaller sleepers need. The gel nasal pillow uses a gel insert that provides comfort for each nostril while maintaining a reliable seal. The mask has a hollow frame that facilitates easy airflow to the nasal pillow. Air can flow on both sides of the frame, or through one side if the other side is blocked. With a frame design on either side of the head, Freefaller sleepers experience less irritation and discomfort when sleeping on their stomach. The Nuance & Nuance Pro Nasal Pillow Mask offers a new type of comfort and seal with an innovative gel nasal pillow and flexible short tube. The design of the gel nasal pillow comfortably seals at the opening of the nose to deliver therapy pressure for any sleeping position. The short tube forms a buffer between the long hose and gel nasal pillow, allowing Freefaller sleepers to move during their sleep without affecting the seal. Just one in twenty people assume the Starfish pose, which involves lying on one’s back with arms stretched up around the pillow. Starfish sleepers can seek out any mask that is designed for back sleepers and do just fine. The important part to remember is that Starfish sleepers often move their arms around a bit during the night, so any mask type that is as minimalist as possible helps reduce the chances of tangles in the middle of the night. There are several types of CPAP masks available today, and by combining the observations of your sleep study clinic with the expert advice offered by your preferred CPAP accessories supplier, you can make a safe, healthy and affordable choice with ease. 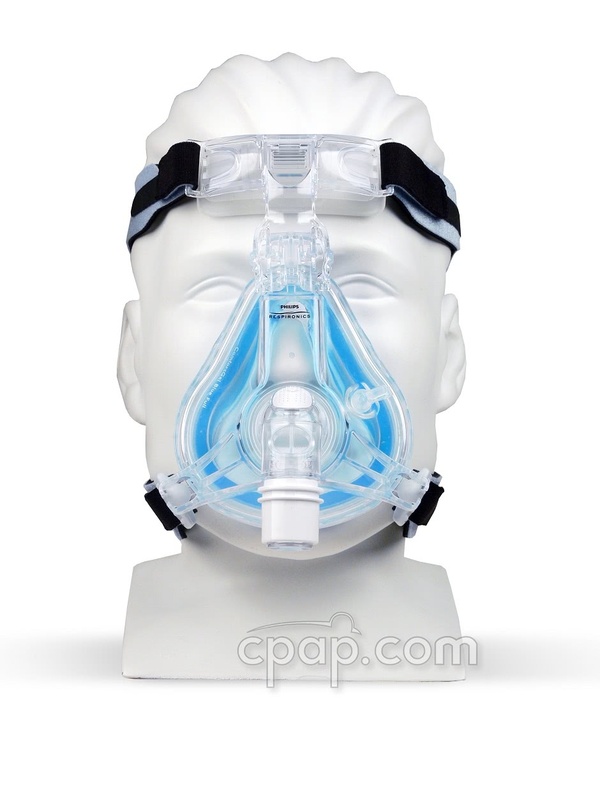 Have questions about the different CPAP mask types? 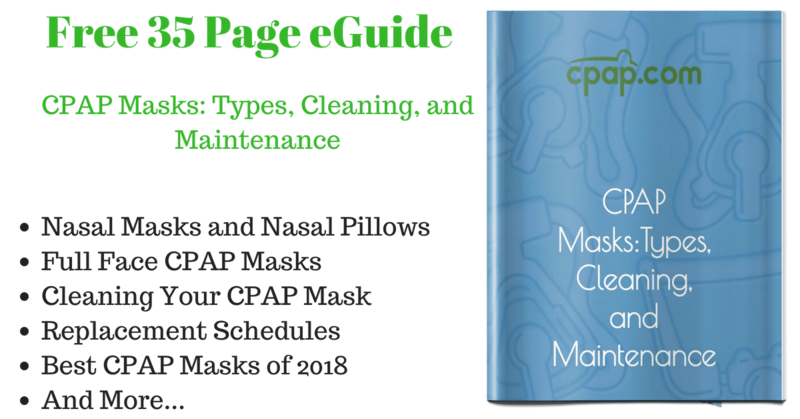 We’ve written a comprehensive guide to CPAP masks that will hopefully answer many of your questions. 1. BBC News Sleep Position Gives Personality Clue originally published September 16, 2003. Accessed August 22, 2018. 2. Marques, Melania, MD, et al. Effect of Sleeping Position on Upper Airway Patency in Obstructive Sleep Apnea Is Determined by the Pharyngeal Structure Causing Collapse. Published in the medical journal Sleep on March 1, 2017. Accessed on August 22, 2018. David Repasky has been using CPAP treatment since 2017 and has first-hand experience with what it’s like to live with Sleep Apnea. He brings the patient’s perspective to the CPAP.com blog and has received formal training in CPAP machines, masks, and equipment. ResMed AirFit P30i Nasal Pillow CPAP Mask Review – With Scores and Rankings! 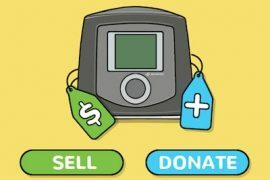 Used CPAP Machine to Sell or Donate? Here’s What to Do With It! This is something that I haven’t considered. I am a stomach sleeper. Maybe there is a mask more comfortable than the one I use now. Thanks for the info. Thank you! I am a side sleeper and always looking for tips on being more comfortable. I need a mask that has an extension on it to keep the jaw from opening causing me to breath through my mout and snoring. I’m a side sleeper. I use the nasal pillows, which work well but my mask won’t stay on my head. My hair is very fine and silky so the straps slider off my head while I’m sleeping. I gather my hair in a pony tail on the top of my head for sleeping. This seems to help. Hi Karen, that is a great idea! Thank you for sharing what works for you. Nasal pillows worked fine, but dilated my nostrils, even throughout the day, resulting in a “Miss Piggy” appearance. Switched to the Wisp mask which works well, even sleeping on my side, and doesn’t make me look like a pig. Hi Helen, I know that finding a mask that you are comfortable with can be challenging. It sounds like you have it all figured out now though. We are glad you found the mask that works best for you. What is a wisp mask. I too suffer from the miss piggy syndrome. The full face mask leaves my face deeply lined and doesn’t fully recover in the daytime. The wisp is a Nasal Mask. Please see the link below to gain further knowledge of the Wisp. If you happen to give the Wisp a try, but your mouth falls open during the night please consider using a Chinstrap, otherwise the Nasal Mask will not work for you and you will need to wear a full face mask. For the deep lines that you are being left with from your full face mask, you may try some mask liners to see if they provide any relief for you. I have linked a couple of the mask liner options below also. I am a stomach sleeper but I sleep with my mouth open. The straps for the chin do not help me so I use a full face mask. Any suggestions? Hi Alicia, I am sorry to hear that the Chinstrap did not work out for you. You may want to try the DreamWear Full Face Mask to see if it will work for you. The hose is over the top of head and the mask isn’t real bulky, so you will still be able to sleep on your stomach. Please see the link below for more information regarding this mask. For further questions, or concerns please feel free to contact us at: 1-800-356-5221, or e-mail: cpap@cpap.com. what about over the ear mask that has ear loops vs over the head? Hey Patricia, if you have detached earlobes, the Swift FX Bella Nasal Mask may be a good fit for you. Please see the link below. Please feel free to reach us at: 1-800-356-5221, or e-mail us at: cpap@cpap.com for questions, or concerns. 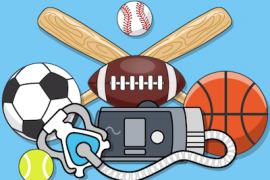 Whether you are newly diagnosed with Sleep Apnea or a veteran CPAP user, this blog will help you make the most of your therapy! Are you looking for CPAP equipment? Visit our parent site, CPAP.com. Receive exclusive promotions, new product alerts and CPAP therapy tips! Error: Your emails did not match. Success! Keep an eye on your inbox. By signing up you give CPAP.com permission to send marketing emails to your email address. You may unsubscribe at any time. 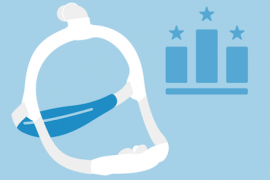 Best CPAP Masks of 2019: Our Top-Rated Masks Ranked! Copyright © 1999–2019 US Expediters, Inc. All Rights Reserved.